Proceeds from a special Molson Coors’ beer are being donated to The National Brewery Heritage Trust, to support their aim of protecting and preserving Britain’s brewing heritage. 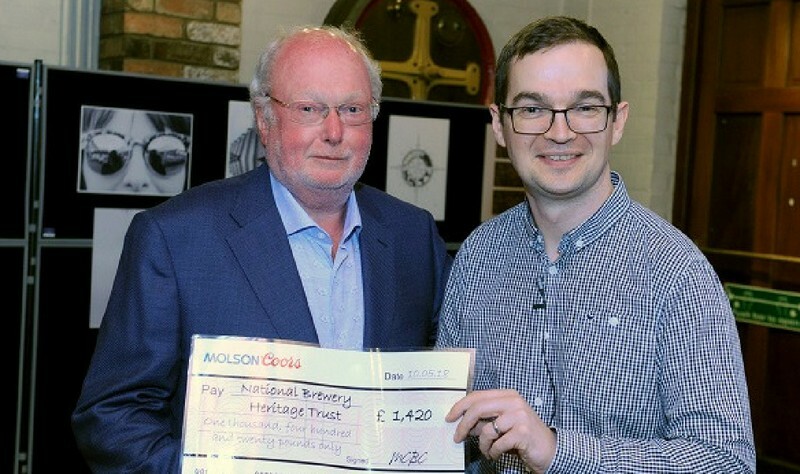 Molson Coors bottled the brew as part of its investment programme in its Burton Brewery and visitors to its staff shop have been making donations in return for the beer, with all funds raised going to The National Brewery Heritage Trust. The brewer expects to raise up to £2,000 in total for the Trust. Dr Harry White, Chairman of the Trust, was presented with a cheque for the funds raised to date by Andy Runcie, Brewing Manager, at a community event held at the National Brewery Centre in Burton upon Trent. Photo shows Dr Harry White, National Brewery Heritage Trust (left) and Andy Runcie, Molson Coors (right).